Join the first multifunctional camp in Europe that provides coworking and educational opportunities for User Experience (UX) professionals. Taking place October 6-14, this camp will be an opportunity to network with colleagues, exchange feedback, establish deeper connections, and find out more about the life of a digital nomad. The event will offer various workshops, lectures, and an unconference for you to improve your UX knowledge. 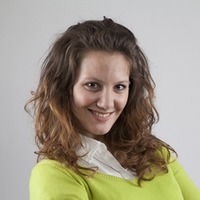 Ivana Miličić, a Toptal designer, will be a featured speaker with a talk titled Attractive Things Work Better. In this talk, Ivana will explain why and how emotions can influence a product’s success, and what role visuals play in producing certain emotions. Through a series examples, she will demonstrate how humans perceive objects, why establishing a clear visual hierarchy is essential, and the ways in which details make an impact. Join Ivana on October 8 at 6:00pm. For more information, please see the event website. Your message to Tatjana was sent.